Charlotte Rowe Garden Design. Sunken seating area with day bed and modern fireplace. Rich textural planting sets off the dark wood trellis which provides privacy. 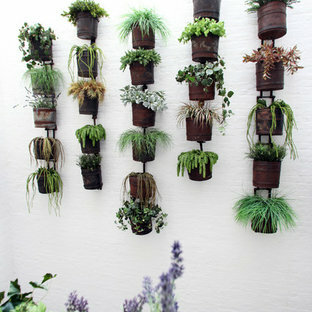 Inspiration for an urban garden in Oxfordshire with a living wall. Small contemporary back garden in Orange County with a living wall. Design ideas for a contemporary back garden in Orange County with concrete paving. Photography by Studio H Landscape Architecture. Post processing by Isabella Li. 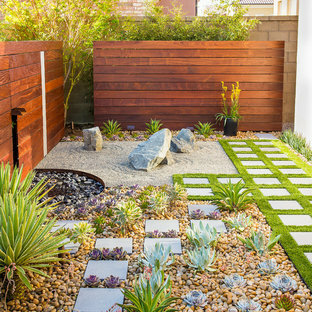 Design ideas for a small contemporary side xeriscape partial sun garden in Orange County with natural stone paving and a garden path. 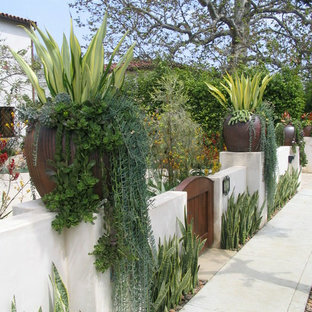 Photo of a mediterranean front garden in Los Angeles. 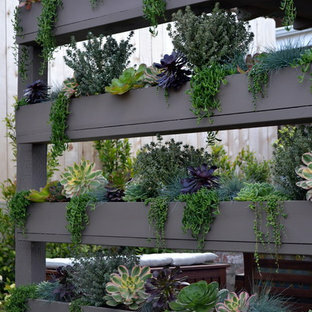 This is an example of a contemporary garden in San Diego with a living wall. Contemporary back xeriscape full sun garden in San Luis Obispo. 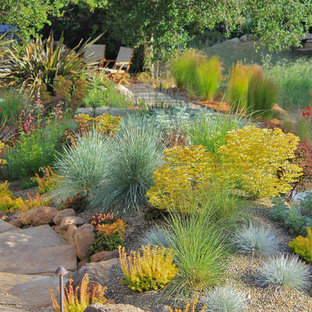 This is an example of a contemporary back xeriscape garden in San Francisco. Contemporary front garden in Orange County. 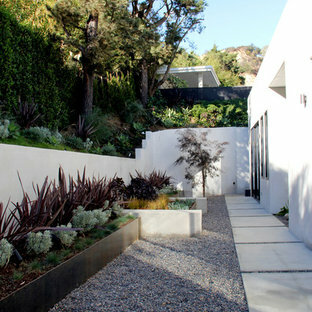 Contemporary sloped garden in Los Angeles with a potted garden and gravel. Design ideas for a rural back full sun garden for summer in San Diego with a garden path. Inspiration for a medium sized contemporary back garden in San Diego with a potted garden. This is a small condo backyard which was originally a steep hill and was not a useable space. We terraced with stone and created 2 seating areas.The main outdoor living space now has an outdoor kitchen and stone fireplace. 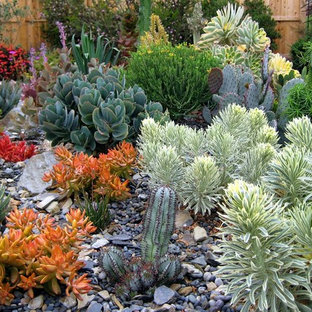 The garden includes succulents, seasonal color, and drought tolerant plants. Photo of a back xeriscape partial sun garden in San Diego with a retaining wall. Contemporary side garden in San Francisco. This is an example of an industrial garden in Austin with a retaining wall. 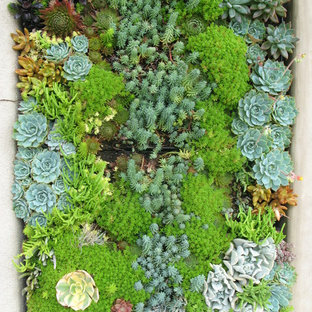 Photo of a mediterranean full sun garden in San Francisco with a living wall.